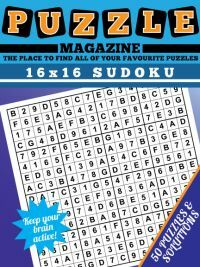 Isosudoku is another of those sudoku variants that is very rarely seen in publication. This is a shame, because it is quite an interesting variation on the standard theme. The difference to ordinary sudoku is that the diagonals from the bottom left to the top right of the grid can also only contain a number once, just like the rows, columns and 3x3s boxes. 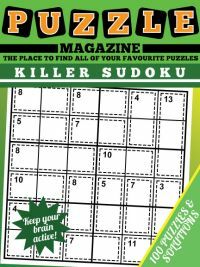 However, unlike in the standard sudoku regions which all have nine cells, the diagonals in the isosudoku puzzle have a varying number of cells in them. In fact there is only one diagonal, the major diagonal from top left to bottom right, that contains nine cells and therefore to which all the standard logic from sudoku can be applied to. For the regions with less cells you will need to modify some of your usual solving rules! Although isosudoku could be played on a standard 9x9 grid, it is much easier to play the puzzle on a hexagonal grid as the shape of the cells makes it easier to keep track of your progress and to naturally see the regions - given that cells moving diagonally from top left to bottom right also share a border in the way that they don't when moving from right to left, which helps to remember that they too are (usually partial) regions. 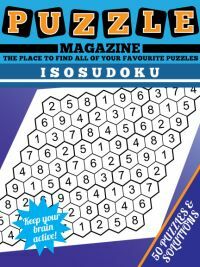 If you've never played isosudoku before, then you can try a sample puzzle before deciding if the isosudoku magazine is for you or not. Simply click to play the sample isosudoku puzzle. 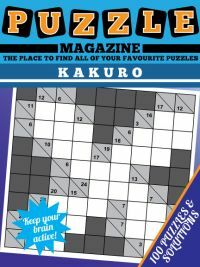 The magazine itself contains 52 puzzles and there solutions, so if you fancy having an isosudoku to do once a week then this great collection will keep you going for a whole year! 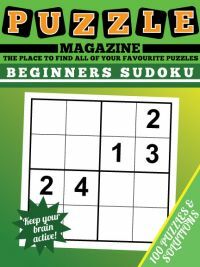 Interested in isosudoku but not sure how to play it? 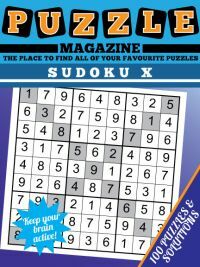 Take a look at our isosudoku solving guide before purchasing.